Stunning 5 Bedroom “Sandwell Model” Detached Home, Built in 2016 Filled With Approx. $100,000 In High-End Upgrades, Backing Onto Centre Of A Large Pond And Conservation Land, Walk-out Basement And 3,027 Sq.Ft. Of Space As Per the Builder, In Georgetown’s South End. Open Concept Gourmet Eat-in Kitchen With Pantry And Chef’s Desk Addition, Gleaming Granite Counter Tops, Centre Island With Breakfast Bar And Restaurant Quality Undermount Sink With Upgraded Faucet, Extended Cabinetry With Crown Moulding, Pots And Pans Drawer, Stainless-Steel Frigidaire Appliances And Remarkable View Of The Pond Through Walk-Out To Deck Which Has California Shutters. Master Bedroom Retreat With Massive Walk-In Closet And Spa Like 5-pc Ensuite, Granite Topped Dual Sink Vanity, Upgraded Faucet, Glass Walled Walk-in Shower, And Corner Soaker Tub With View Of Pond. Family Room And Dining Room Open Concept With Kitchen, Hardwood And Ceramic Flooring Throughout, Jack And Jill Bathroom With Granite Topped Vanity And Separate Vanity And Shower Areas. Walk-out Basement With Oversized Windows Mostly Framed And Insulated Awaiting Your Finishing Touch. Fully Fenced Rear Yard, Wrought Iron Door Inserts, And Transom Window, Stained Glass Window On Second Floor Landing, Gas Fireplace With Marble Surround, Whirlpool Cabrio Washer/Dryer Set, Direct Access To Attached 2 Car Garage With Garage Door Openers, Upgraded Lighting and Window Coverings, Central Air Conditioner, And So Much More! Wonderful 3+1 Bedroom Semi-Detached Home With Finished Basement, New Furnace, Central Air Conditioner in 2016 and Shingles, Soffits, Fascia And Eavestroughs in 2015 Located Close To Shopping, Schools And The Alder Recreation Centre In Orangeville’s West End. New Kitchen Counters And Refreshed Cabinets 2017, Updated 4 Pc Bath With Bath Fitter 2017, Stackable Washer/Dryer 2013, Tankless Hot Water, Owned Water Softener And Reverse Osmosis in 2016, Laminate Flooring 2017 & Berber Broadloom 2016. Fully Fenced Rear Yard, Deck Wired For Hot Tub, Large Garden Shed And Much More! 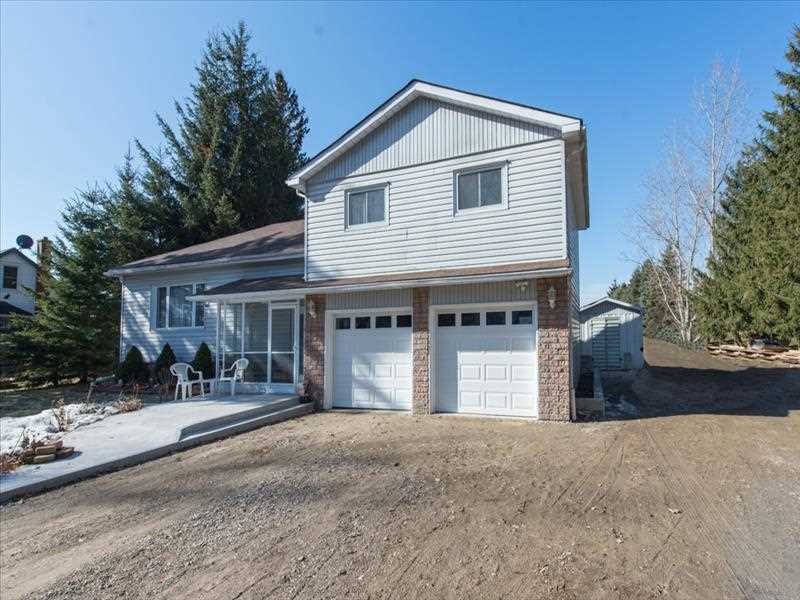 Wonderful 2+2 Bedroom Sidesplit Home Set on a 1.05 Acre Slice of Country Paradise Backing onto Neighbouring Horse Paddocks with Renovated Kitchen (in 2016), Appliances (2016), Septic Bed (2012), Windows (2011), Finished Basement, 3-pc Bathroom (2018), High Efficiency Napoleon Woodstove (2012), Backup Generator Ready with Transfer and Panel, and Large Deck (2016), Just Minutes from Angus. Oversized Driveway with Laneway to Parking Pad, Oversized 2-Car Garage with Workbench, Large Woodshed (2014), Renovated Master Bedroom (2014), Owned Water Softener (2016), Front Door and Sun Porch (2015), Fenced Dog Run, and Extensive Concrete Walkways in (2017). Perennial, Vegetable, and Herb Gardens, Fruit Trees, Newly Planted Oak Trees in 2017, Garden Shed and Abundance of Storage Options. Wonderful 4+1 Bedroom Semi-Detached Home with Separate Entrance In-law Suite and New Windows, Shingles, and Vinyl Siding in 2011. Updated Large Eat-in Kitchen with Laminate Flooring, Shaker Style Cabinets with Beadboard Panels, Display Cabinetry, Pantry, Under Cabinet Lighting, Smooth Top Range and Stainless-Steel Microwave Range Hood. In-law Suite with Own Bedroom and Family Room Combination, 3-pc Bathroom, and Separate Entrance Leading to Side of the Home. Combined Living and Dining Room with Oversized Walk-out to Covered Rear Deck, Large Covered Front Porch and Fully Fenced Rear Yard. Laminate Flooring, 3-Car Parking, Upgraded Lighting, and Much More! Remarkable Executive 3 Bedroom Condominium Townhouse, Filled With Upgrades In The Prestigious Winding Creek Cove Of Oakville, Backing Onto Lush Ravine With a Pond And Finished Walk-Out Lower Level. Open Concept Living Room And Gourmet Eat-In Kitchen With Granite Counters, High End Appliances New In 2013, Handy Butler’s Pantry And Walk-Out To Deck With View Of Ravine. Master Suite With Large Walk-in Closet, 5Pc En-Suite With Granite Topped Dual Sink Vanity, Soaker Tub & Separate Shower With Marble Tile. Formal Dining Room, Two 3-Sided Gas Fireplaces, 18 ft. And 9 ft. Ceilings, Wet Bar With Fridge In Lower Level, Hardwood Flooring, Upgraded Hardwood Staircase, Coffered Ceilings And Much More! Lovingly Maintained 3 Bedroom Detached Home With New Furnace And Central Air Conditioner 2016, Shingles 2015, Appliances 2015 And Updated Bathroom Within Walking Distance to Transit And Other Amenities. Open Concept Family Room And Eat-In Kitchen With Breakfast Bar, Walk-out to Deck, Cathedral Ceiling and Gas Fireplace. Master Bedroom With Walk-in Closet And 4 Pc Ensuite Washroom. Partly Finished Basement With a Recreation Room and Rough-In Bathroom. New Flooring, Updated Staircase, Concrete Walkways 2016, Direct Access to Attached Garage added in 2015, Gas BBQ Hook Up And Much More! Visit This Home's Custom Web Page For a Video Narrated 3D Animated Online Showing, Floor Plans, Pro Photos, and More! Wonderful 3 Bedroom Bungalow on 8.9 Acre Country Paradise with Barn, Workshop and New Well and Septic System in 2006, Centrally Located West of Shelburne. Large Extension with Steel Roof Added in 1998, Main Home Completely Renovated and Steel Roof Added In 2006. Large Country Kitchen with Freshly Painted Cabinetry, Open Concept Living and Dining Room with Cathedral Ceilings, Laminate Flooring, Master Bed with Large Walk-in Closet and Two 4-Pc Bathrooms, One with Claw Foot Tub. Large Partly Finished Basement Area That’s Completely Open and Beams Hidden Behind the Stairs. Barn Has Water and Hydro, 3 Paddock Areas, One with Newer Fence and Electric Fencing and Riding Ring. Workshop/Equipment Storage Attached to 2-Car Drive Shed and Pen Area. Charming Covered Front Porch, Owned Water Softener, and Much More! Detached 3 Bedroom Fully Brick Home On Large Lot In the Heart Of Downtown Hillsburgh Filled with Character And Great Bones But In Need Of Some TLC. Original High Baseboards, Trim, Doors And Pocket French Doors. High Ceilings, Bright 3 Season Sunroom, Hardwood Floors And Grand Staircase. Hot Water Tank 2016 (Rental), Shingles 2006 And Oil Tank 2013. Walk-up Attic With Tons of Potential. 3 Pc Bathroom With New Tub and Flooring 2013, Washer, Dryer, Stove and Fridge.